4 Hugues Ross - Blog: Making the first Halberd game: Is this still a mountain? 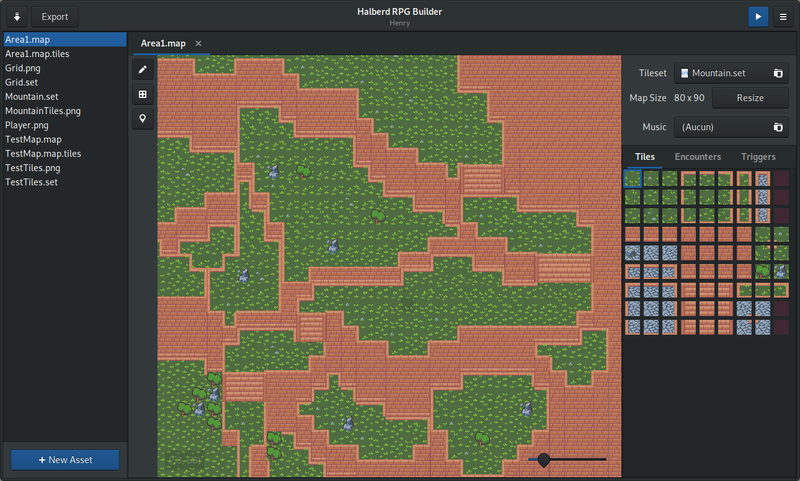 Making the first Halberd game: Is this still a mountain? It's alright. I'm not thrilled with my results, but I think they look good enough. 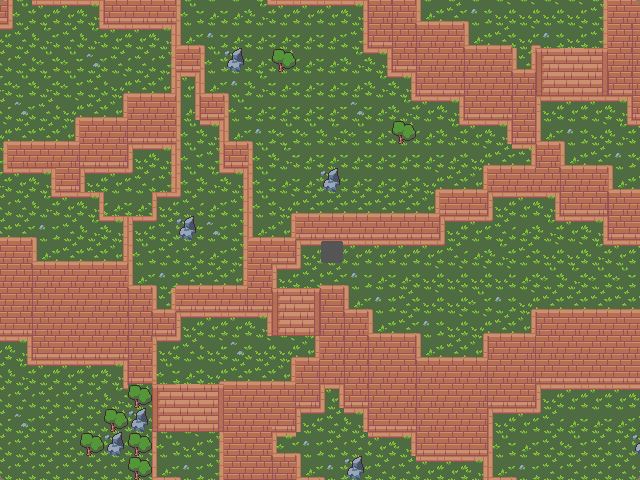 There's a line to be drawn in terms of polish and I've already spent a week on this map alone, so it's probably better to keep moving for now. 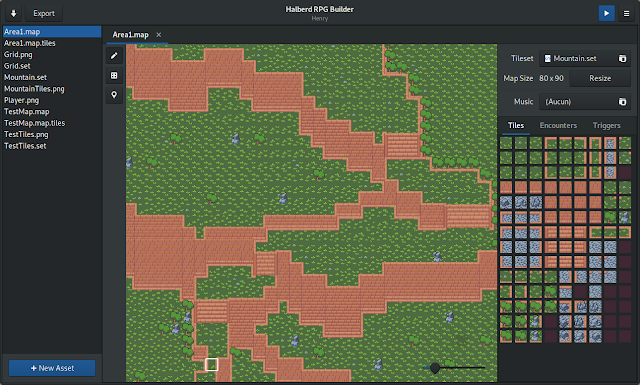 If I feel a strong urge to do so, I can do another polish pass on the maps later. This will be the combat background for the first area. It's rough and not really that detailed/attractive, but it's god enough to work as-is. If I can match this level of detail in the rest of my assets, it should be easy to complete the project quickly. 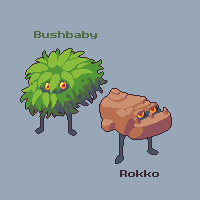 They're not the most exciting creatures you've ever seen, but I think they'll work well as cute little monsters to deal with early on. Now I just need to add them in and take a crack at music, but that can wait for a future post. For now, I rest.